Health, education and culture are integral parts of Sherpa people’s livelihood. Therefore, helping to conserve the important cultural heritage is equally necessary for the quality of life in the region. 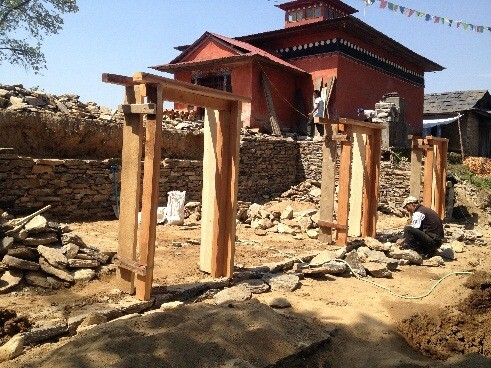 Himalayan Trust Nepal has supported to rebuild dozens of important Buddhist monasteries, chortens, prayer wheels and monuments. These cultural sites are not only important assets for spiritual purpose but they also are equally important tourist-attraction sites for the economic development of the community and the country. Apart from physical infrastructure preservation support, HTN has been helping local schools and monasteries to teach Sherpa cultural education. For this purpose, HTN has been supporting the salaries of Sherpa cultural teachers. 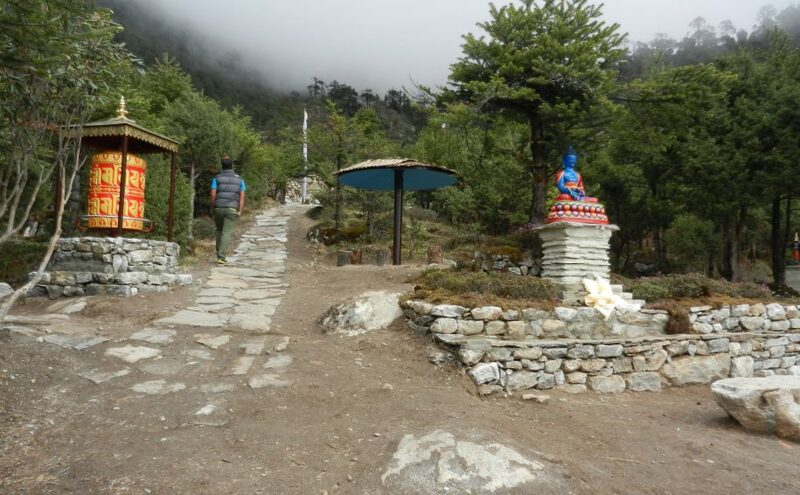 Sir Edmund Hillary Memorial Chorten of Khumjung was also damaged by the 2015 earthquake. After the supervision of the Chorten by the HTN Chairman Mr. Pasang Dawa Sherpa and Treasurer Mr. Thukten Sherpa in April 2018, they felt that the memorial Chorten needs to be repaired. 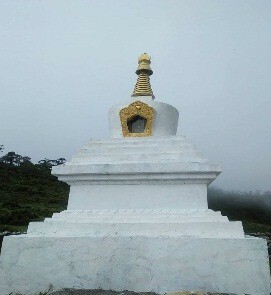 The technical team of HTN led by Mr. Bidur Mukhiya Sunuwar, in partnership with Khumjung community, retrofitted the Chorten and brought it back to its original shape. The chorten has been serving itself as one of the major attractions to visitors while interpreting the history of Sir Edmund Hillary to the Khumbu region. The renovation project was completed in June 2018. With the support from American Himalayan Foundation, Himalayan Trust Nepal provides an annual grant equivalent to $1,000 and $1,700 to Tengboche Monastery and Debuchey Nunnery respectively. The annual grant is only a token of support to manage and operate these monastic institutions. The Tengboche monastery and Debuche Nunnery are two of the major monasteries of the region where more than thirty-five monks and four nuns operate these institutions. 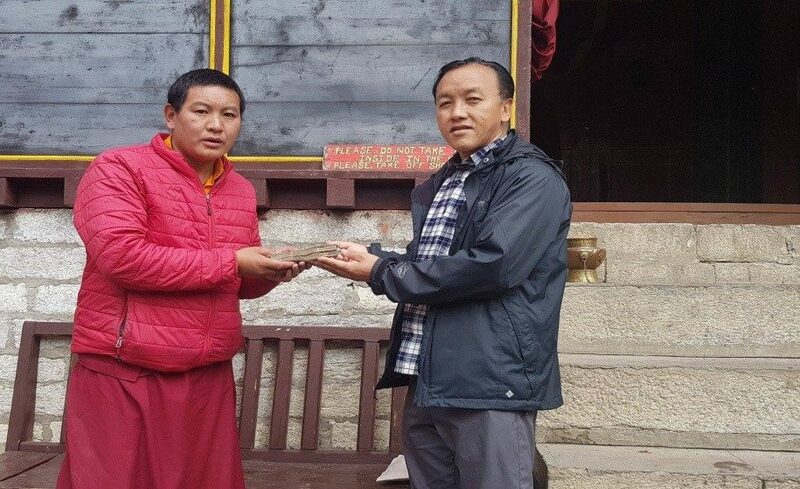 HTN, CEO Handover the support to Tenboche Monastery.